The ground systems that will support future SLS/Orion launches have passed a series of reviews, NASA announced Tuesday. NASA said its Ground Systems Development and Operations program has passed its critical design review, an independent assessment and a review by NASA’s Agency Program Management Council, clearing the way for full-scale development. 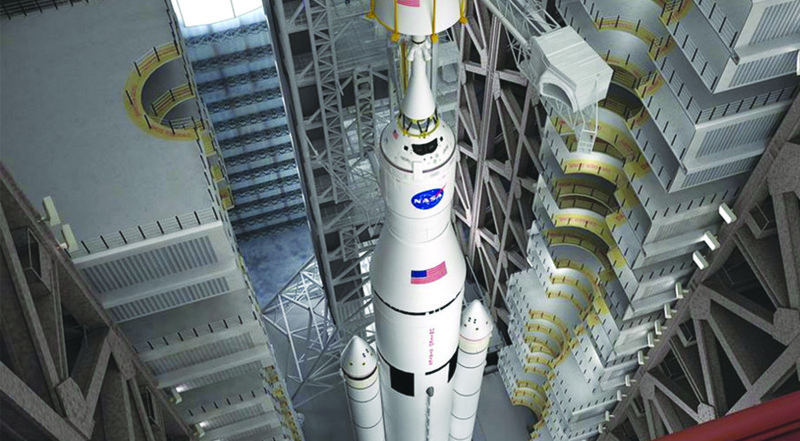 The program includes the ground systems needed at the Kennedy Space Center for SLS launches. – NASA Administrator Charles Bolden, speaking at a Space Transportation Association luncheon on Capitol Hill Tuesday, discussing the importance of stability for NASA in the upcoming presidential transition.